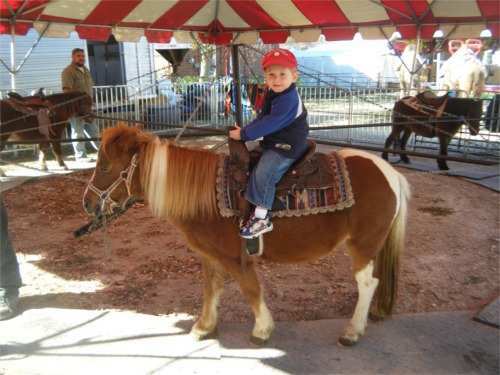 Few things delight children more than a ride on a real, live pony! 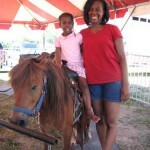 Fairs, festivals, birthday parties, company picnics or any event to draw or entertain children (and their parents)! 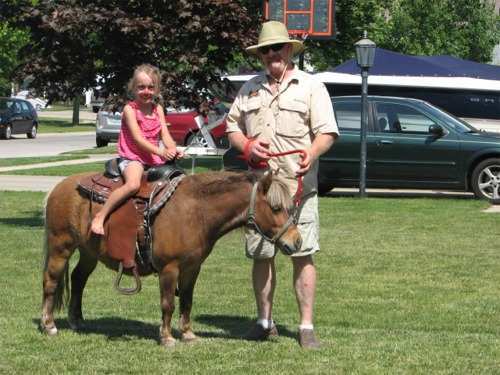 Various sized ponies, accommodate a wide range of children. 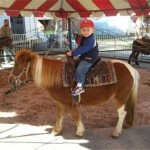 Souvenir photos of your child’s ride are available. 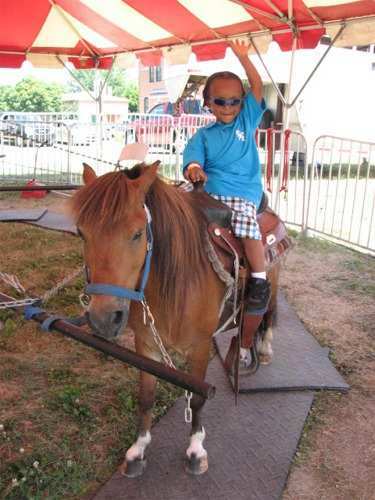 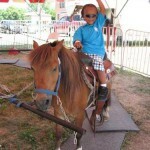 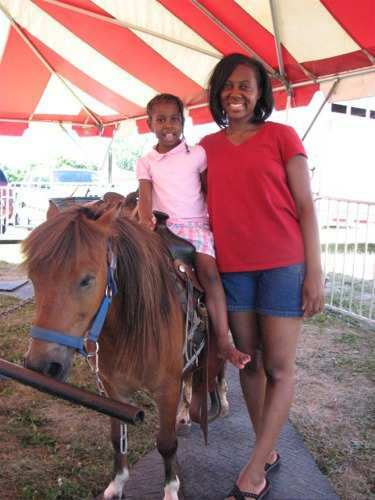 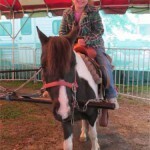 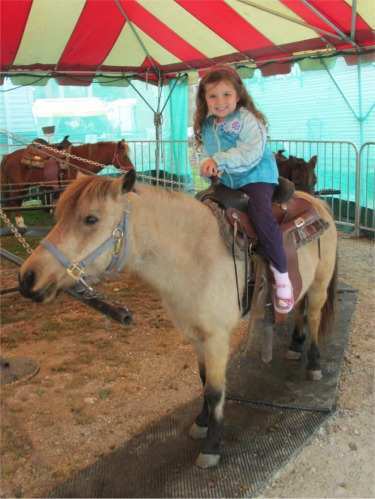 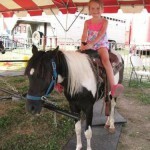 Our pony ride is self-contained, clean and kid friendly! 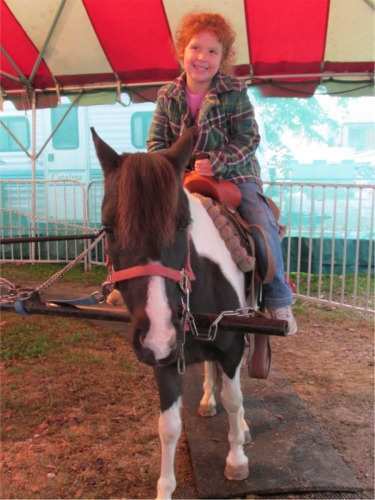 Our ponies are well trained, friendly and adorable! 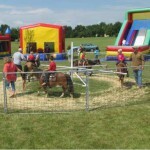 A level area 30′ x 30′ on grass, gravel, blacktop, concrete or any hard interior surface is required. 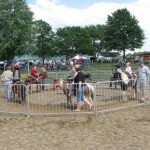 Additional space for truck/trailer parking must be provided on site. 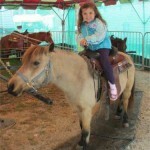 Minimal electric hook-up is necessary for photos or night-time events. 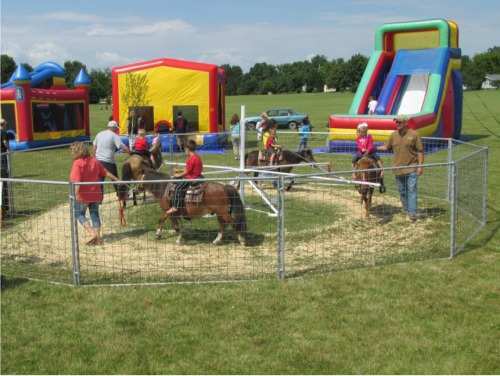 Potable water must be available on site. 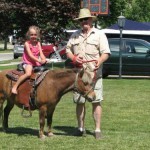 We offer rides on either a six or four pony ring for larger events or ponies simply led by an attendant for smaller one or two pony gatherings. 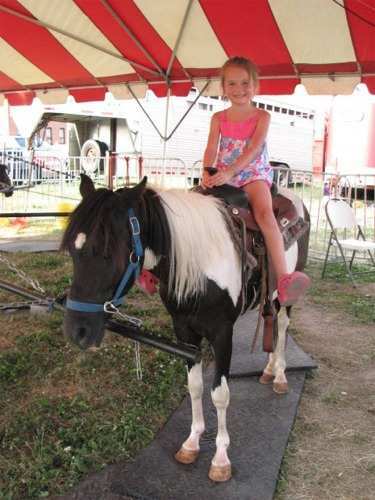 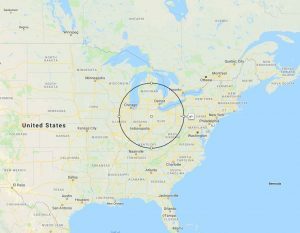 Our pony rides are inspected and approved by the Ohio Deptartment of Agriculture.